Using the form of an alphabetical index with entries like “DEATH” “DESIRE” “DESPAIR” “DREAMS” “DRESS” “DURAS, MARGUERITE” “DUBOIS, BLANCHE,” (and that’s just “d”), Suzanne Scanlon tells the story of a life-altering love affair. Fans of Jenny Ofill’s Dept. of Speculation will feel right at home here; though the books are very different, they share a similar tense, sparing and judicious use of language, and even a similar mood, and a similar cumulative effect of emotional devastation. Enjoy!! “Its structure is brilliant, an archive of longing both poetic and precise; a love-letter to language. I still feel hypnotized.” — Megan Sielstra. 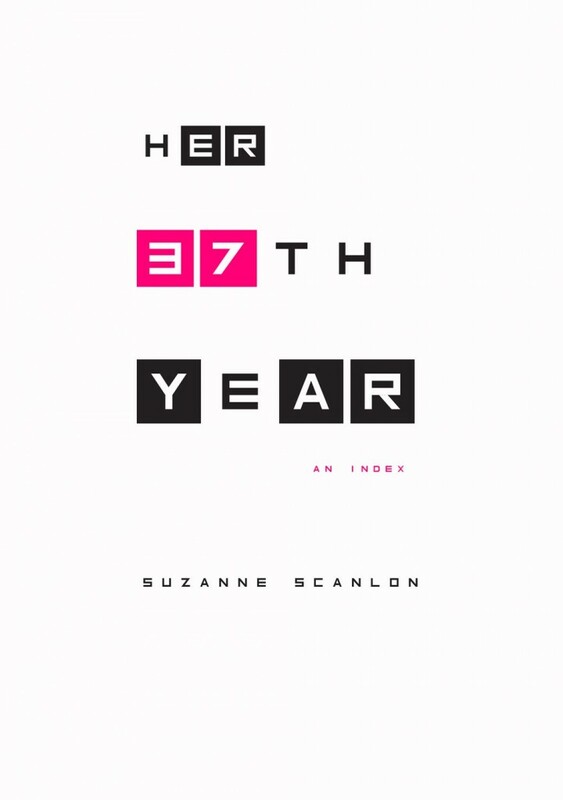 Her 37th Year: An Index is published by Noemi Press. "REAL,THE (see also: Crazy), Something else the man in boots has admired, reading you: he wants to understand how you managed to create a 'crazy sounding' voice without 'really' sounding crazy."